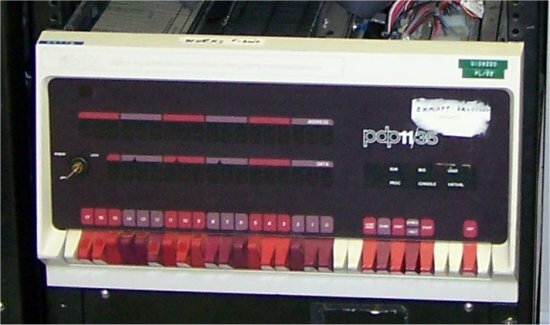 I obtained this PDP-11/35 system early in 2007. It has a full CPU option set, 128k words of semiconductor memory, an RL11 controller, an RK11 controller, and is in the rack with an RK05J drive and an RK05F drive. On this system I have successfully booted RT11, XXDP, and the Wofford Witch RSTS/E system from the RL02 drives.